British heavyweight Dereck Chisora has ended Malik Scott's undefeated run. The Londoner stopped his American opponent in the sixth round at Wembley Arena to win the vacant WBO International Heavyweight Championship. Scott started the brighter until Chisora caught him with an overhand against the ropes. But Scott appeared to misjudge the count, failing to get to his feet in time. Chisora, 29, said: "I thought, 'If I catch him he's going to go down', and I caught him." Scott's corner were unhappy with the referee's count but the fighter accepted the defeat. "He hit me with a good shot," admitted Scott. "I gave myself an eight, got up at nine and everywhere in America the count goes up to 10. "Everyone knows I beat the count but Dereck won a clear fair, fight and we're not going to turn this into something." British heavyweight Dereck Chisora stopped unbeaten Malik Scott with a sixth-round knockout at Wembley Arena. Chisora caught Scott with an overhand right on the ropes and the American appeared to misjudge the count, failing to get to his feet in time. Scott started the brighter until the dramatic punch late in the sixth round. "I thought 'if I catch him he's going to go down' and I caught him," said Chisora, 29, who had lost four of his previous six fights. "He hit me with a good shot," said Scott. "I gave myself an eight, got up at nine and everywhere in America the count goes up to 10. DERECK CHISORA smashed his way back into world-title contention — with a controversial stoppage of Malik Scott. American Scott arrived at Wembley with a proud 36-fight unbeaten record but Chisora flattened him with a right in the sixth round. Scott inexplicably left it until the count of nine before rising to his feet. And referee Victor Loughlin waved off the contest, handing Del Boy a crucial win. Chisora, 29, admitted: “It was controversial. But I just say ‘forget this’, I’m going to keep going now. Scott insisted he beat Loughlin’s count. He said: “I gave myself eight and got up at nine. 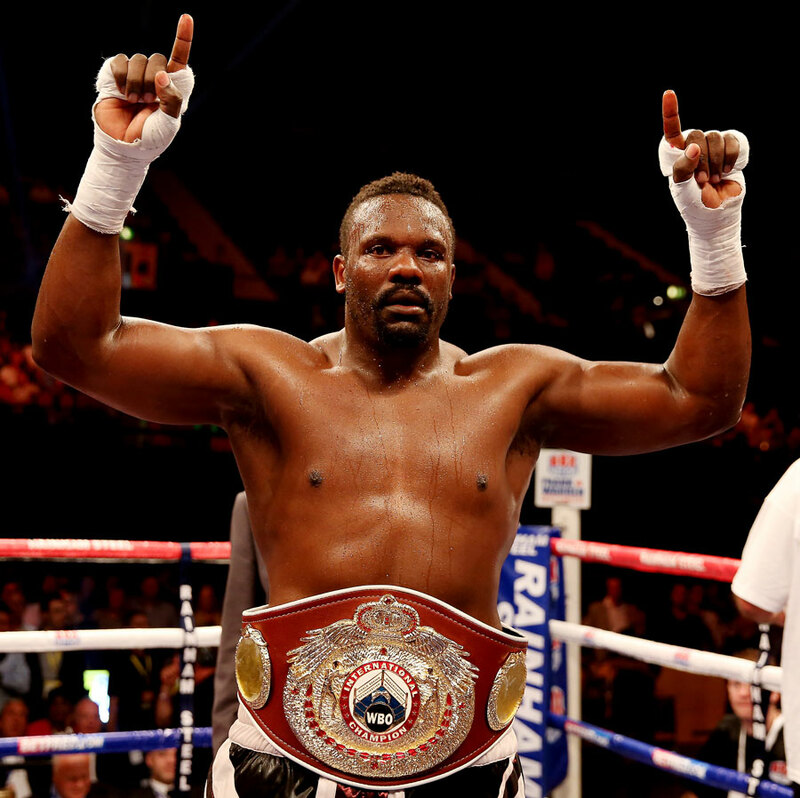 Chisora claimed the WBO international heavyweight belt. And now he is eyeing one of the Klitschko brothers after losing to Vitali last year. He said: “I want the Klitschkos again, I want to go back to Germany.